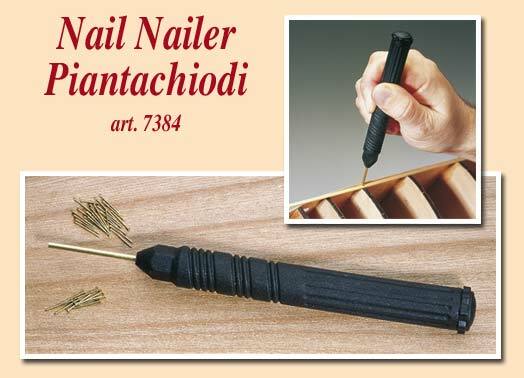 This useful tool allows the careful positioning of very thin nails. Insert a nail inside the tube, hold the tool near the piece you want to nail, push slightly and the nail is in place! Easy to use; this tool is suitable for brass nails.